This blog post is dedicated to the core components of the MICO system: the MICO extractors. They are doing all the hard multi-modal analysis work in the system. 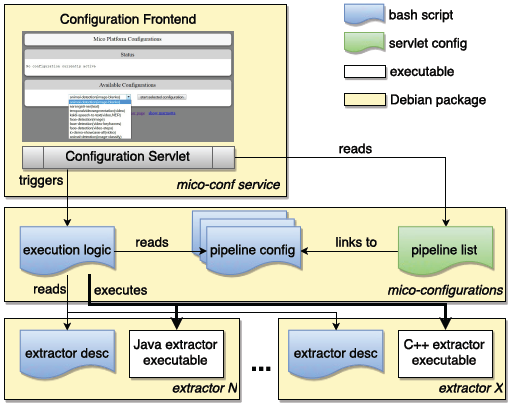 We previously wrote about how to configure and use the MICO extractor pipelines. In this post we will focus on what is going on inside the MICO system. Java or C++, that is the question!? We are glad to already have a number of extractors (e.g. 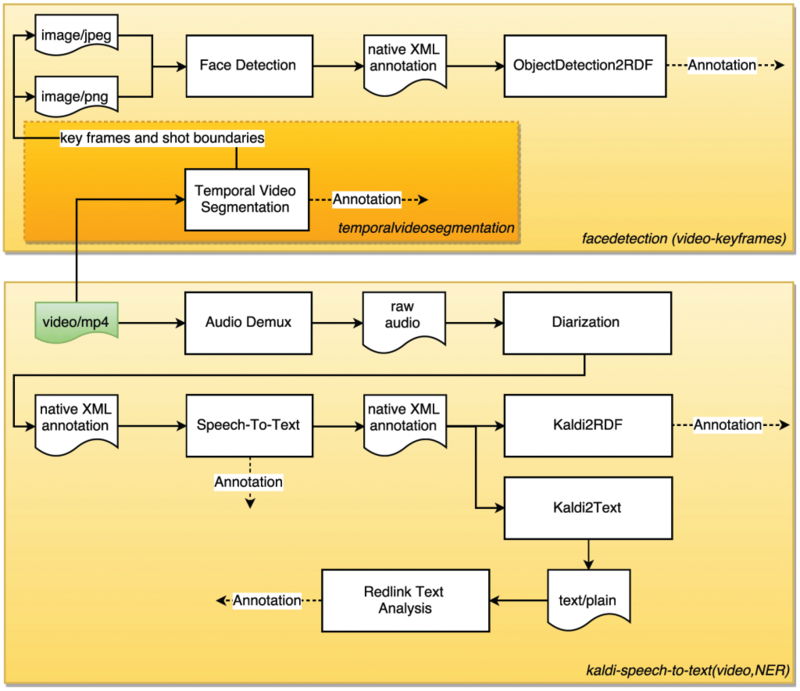 video segmentation, face detection), and pipelines available that are running relatively robust, fast and that are doing their job fairly well considering that most of the underlying algorithm and training models are used out-of-the-box. We are also happy that, at this stage of the project, a complete development and deployment process is in place. However, some showcases have strong demands in terms of what an extractor should be able to do. The best example is the Zooniverse showcase in which we use our animal detection extractor on a very demanding data set. As a consequence, our first baseline implementation delivers bad results in terms of species detection performance, while doing ok for blank image detection (detailed blog post about results to be provided soon). While this underlines why citizen science crowdsourcing platforms such as Zooniverse are needed, we also feel challenged to improve our detection algorithms from an scientific point of view. Such research, and the inclusion of new extractors required for showcase demands regarding cross-media analysis, will be the focus of extractor work in the final year of the project.